Everyone has painted on paper, but have you ever tried painting your cookies? 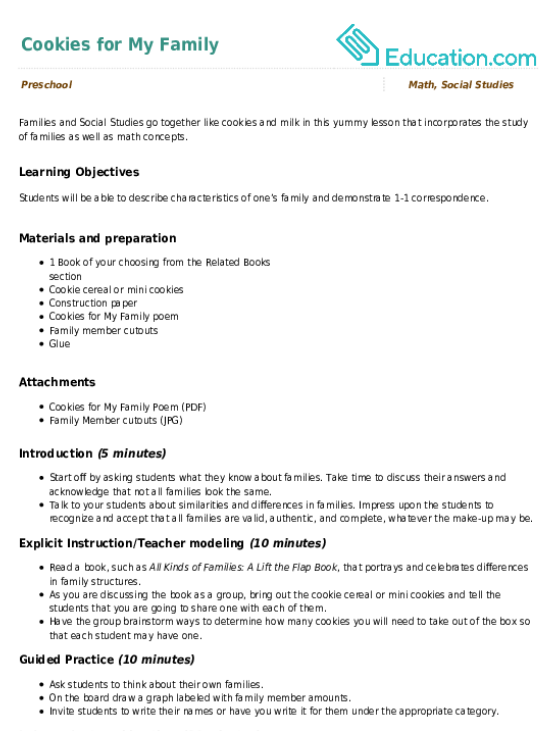 Try it out with this fun activity! 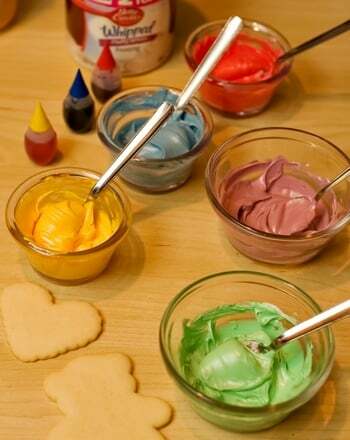 Kids mix their own paint, then practise their fine motor skills by painting beautiful designs on homemade cookie canvases. 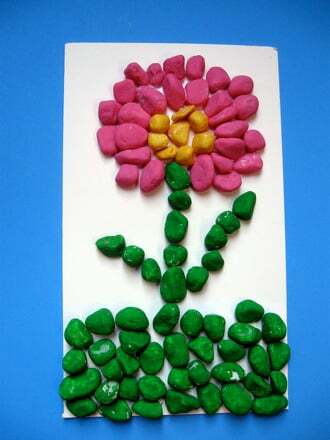 After creating unique works of art, they'll get to eat them up as a yummy dessert. 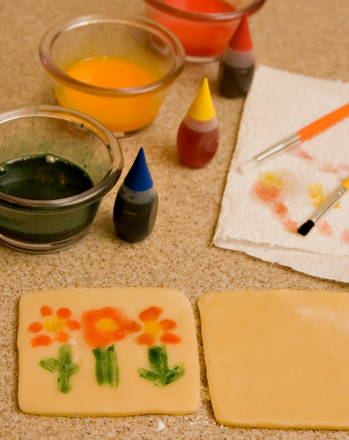 In advance, roll out your favorite sugar cookie dough and cut round or square "canvases." Mix the "paint" together. If your child can handle the food coloring container, let him add a few drops to one yolk. Or add colour yourself and let him stir with the brush handle. Show him how to clean the brush handle by rinsing it with water before mixing the second colour. Have him to mix the other paints and clean the handle between colors. Now it's time to start painting! Place one raw cookie in front of him on floured wax paper. First, show him how it's done. Move through the steps slowly, using few words. First dip (in the paint). Now stroke (on the cookie). Now dip (in clean water). Now wipe (with the towel). Use each colour so he can see and hear the steps repeated. Invite your child to have a turn. 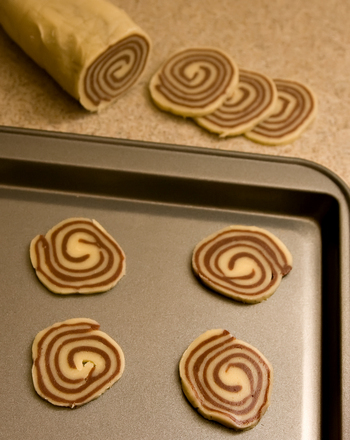 As cookies are finished, slide them off the wax paper and onto a baking sheet. Take another turn yourself and model the steps again as needed. Bake the cookies according to the chosen recipe, and viola — beautiful pieces of edible art! These cookies are fun to eat, and they make great gifts, too! These printable play cookies are just waiting to be frosted and sprinkled. Baking these fun cookies will introduce your child to the concept of cross-sections. Bake Aggression Cookies: Playdough Cookies Kids Can Pound! 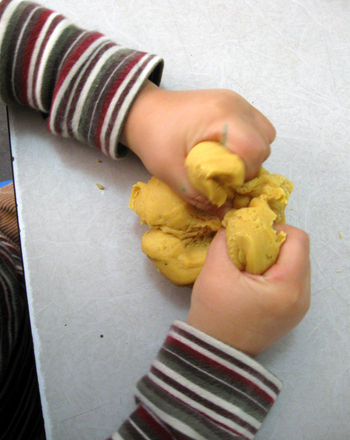 The more your child pounds, squeezes, and mashes this dough, the better these play dough cookies will taste! 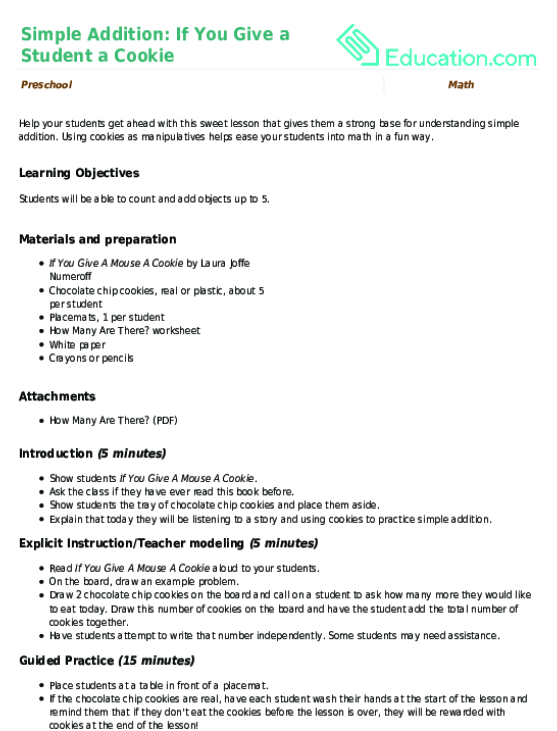 Families and Social Studies go together like cookies and milk in this yummy lesson that incorporates the study of families as well as maths concepts. 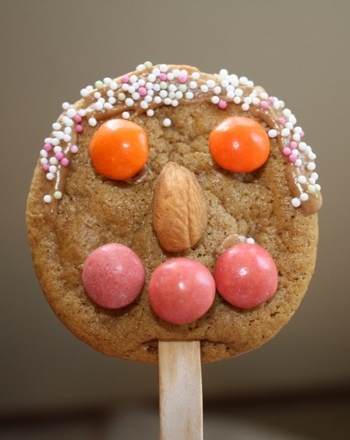 Turn ordinary cookies into puppets and create edible performance art! 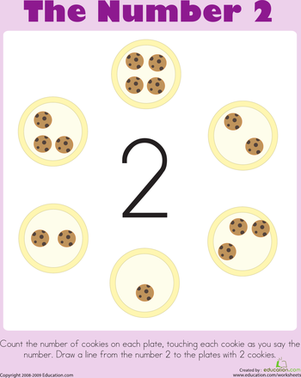 Count the cookies on each plate then draw a line from the number 2 in the centre to the plates with 2 cookies. Using cookies as manipulatives helps ease your students into maths in a fun way. 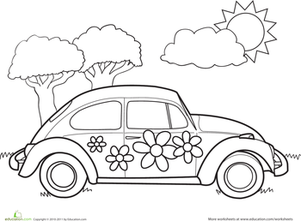 Kids are sure to have fun coloring in this VW bug, complete with flowers painted on the side. Help your preschooler celebrate this festive holiday by adding colour to the painted eggs in this Easter basket coloring page! 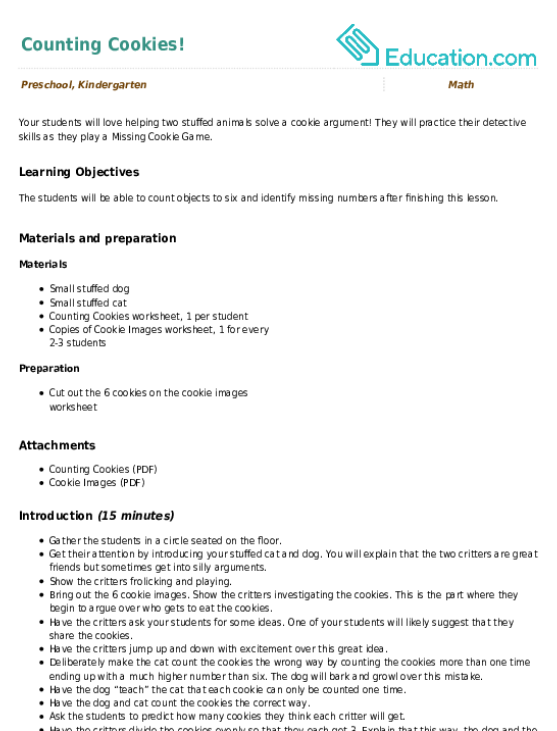 See this activity in a set: Celebrate National Cookie Month!